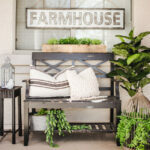 Love a modern farmhouse look for less? 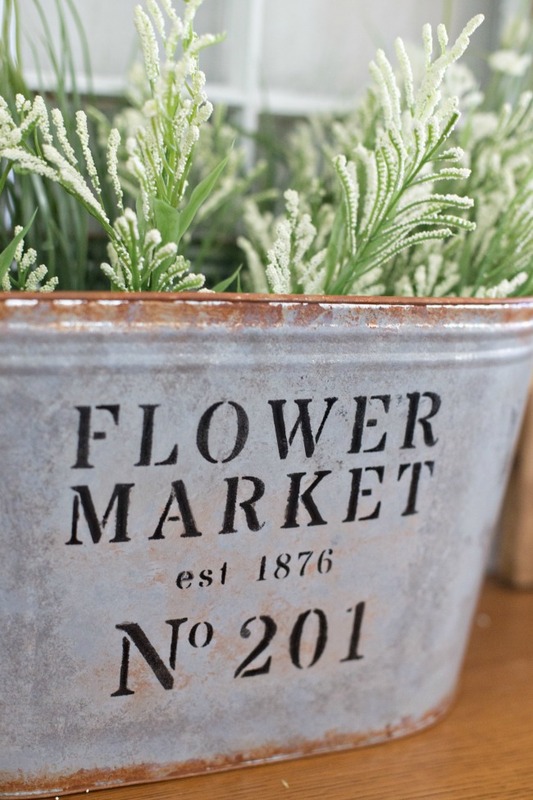 Make your own DIY Metal Flower Market Bucket in just a few easy steps! Hi friends! Can you believe that spring is right around the corner? For us in sunny AZ it’s completely believable, we’re already in 80+ degree weather! Everything around is blooming (hello, allergies!) 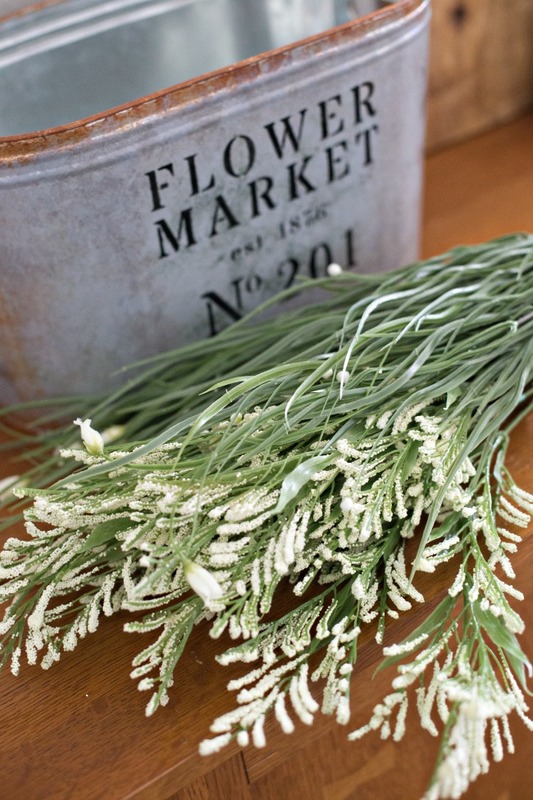 and it has us shedding winter wear and longing to decorate with goodies from the flower market. 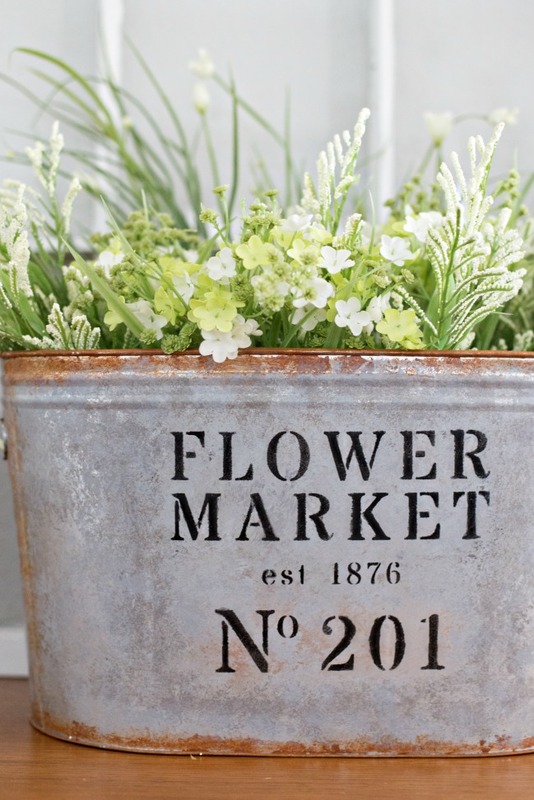 Which brings us to today’s latest Michael’s Makers project – this DIY Metal Flower Market Bucket. 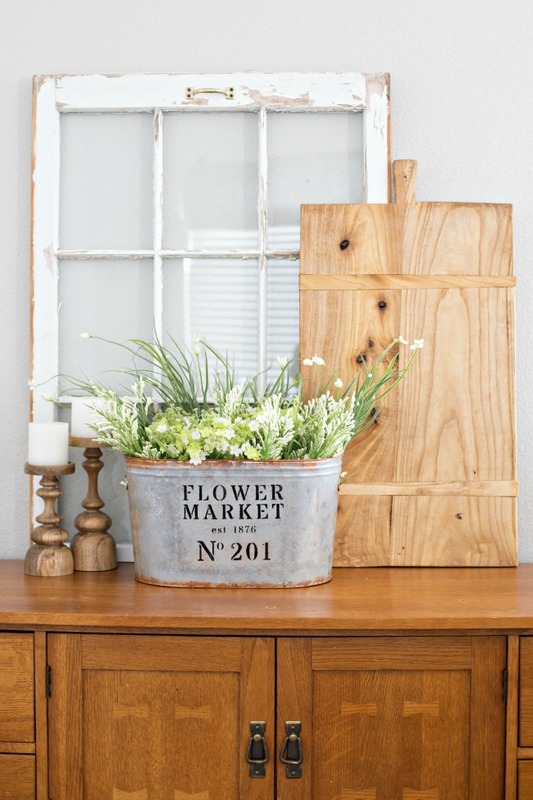 To “age” the steel bucket, create rusty edges using your sponges around the rust colored paint. Once that is dry, use another paint sponge to apply a light coat of the darker grey paint all over the bucket. Once that is dry, do the same with the light grey paint. 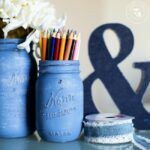 Using a cutting machine such as the Cricut or Silhouette (or even premade alphabet stencils), create your flower market stencil. If you have a Cricut machine, you can use this Flower Market Cut File. If you have a Silhouette, you can download this Flower Market Cut File. Tape the stencil to the area you’d like on the bucket and using a pouncer, fill in the stencil with black paint. Remove the stencil and let dry (depending on the tape you used, you may have to touch up the grey paint if the tape lifted any). 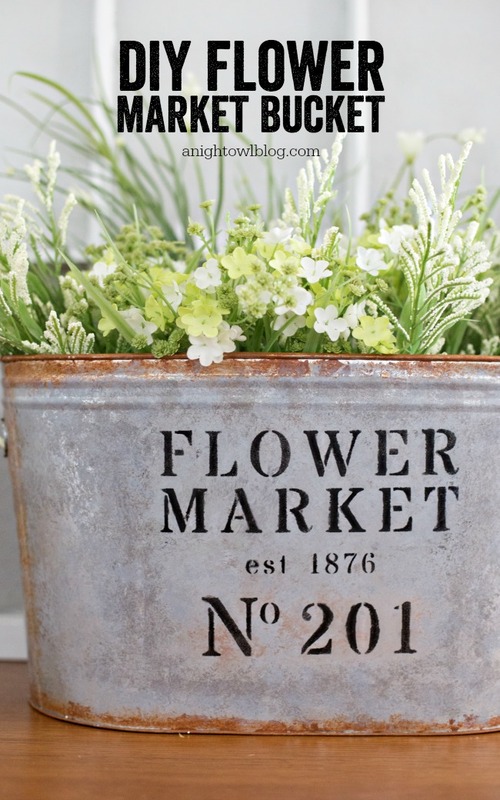 And the result is a sweet Metal Flower Market Bucket that cost us less than $20 to make! How about that modern farmhouse look on a budget?! And now it’s time to fill it up with those sweet Michaels Flower Shop blooms! 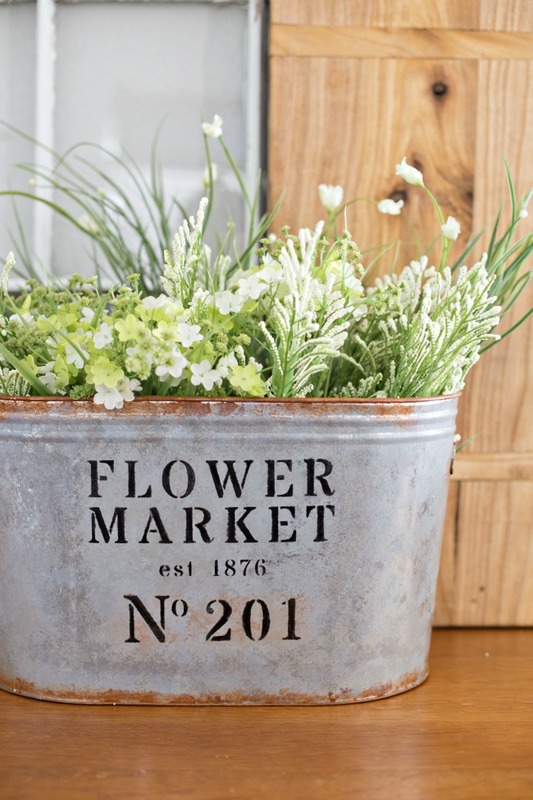 Just arrange your choice of blooms in your pretty new bucket for perfectly spring decor! 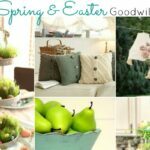 Feeling spring-inspired?! 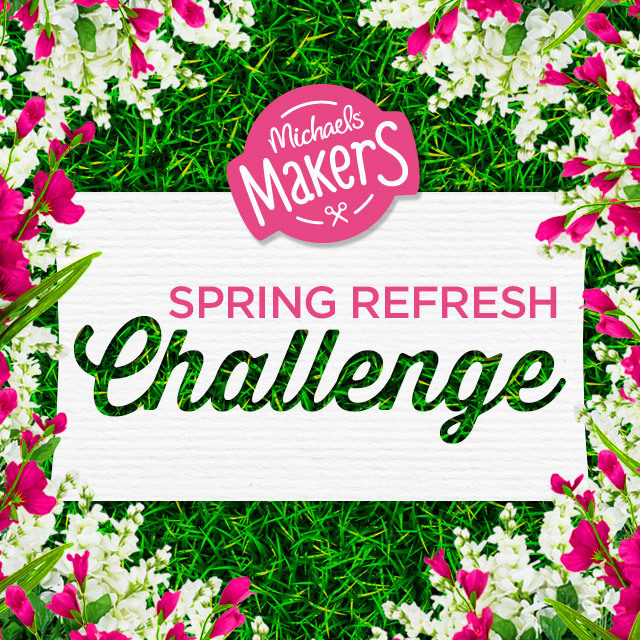 Be sure to click around to the rest of these amazing Michaels Makers projects! Love how this project turned out! 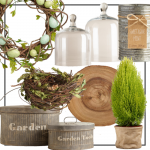 So pretty and “farmhouse” looking especially in the display you’ve created around it. Great tutorial on creating it as well. Looks great! I love well well the aging technique worked! I don’t have a Cricut or Silhouette. I’m trying to re-create the file (and customize the numbers). What font did you use? GREAT question, Debby! I used Stardos Stencil that I found online here: https://www.fontspace.com/new-typography/stardos-stencil. Hope that helps. I’d love to see your finished project!